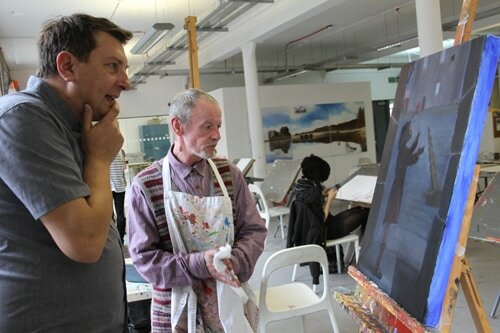 Project Ability is an art charity based in Glasgow, Scotland. They provide art workshops, studio space, tuition and materials for disabled children and adults with learning disabilities, autism and mental health conditions. I have been attending their 'ReConnect' programme (formerly 'Connect') since 2010. I absolutely love going there and spend 2-3 days a week in their studios, working on my illustrations and artwork. It's great to be able to have such a brilliant studio to work in and have expert advice and access to materials and support. Plus I have many friends there!